Chicago is an alpha global city and an international hub for finance, trade and commerce, telecommunication, technology and many great architectural marvels. 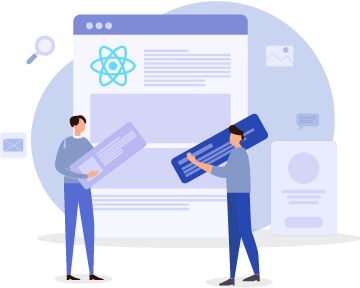 ReactJS is primarily built to solve the worry of constructing large applications with constantly evolving data. It automatically manages all UI updates when your underlying data changes by expressing how your app should look. The ReactJS certification in Chicago makes you learn how to build a simple UI. The React JS online training in Boston has interactive sessions that can be accessed from anywhere. Options of Weekend and Weekday batches or ReactJS online classes in Chicago are available. Re-visit a class of any module at a future date. Get lifetime access to class lectures to refresh your knowledge (won’t cost you extra). If you register and pay the fee but decide to opt out within a day, then you get a refund.